Museum of the Bible in Washington to remove five items from Dead Sea Scroll collection after an analysis showed they were fake. The Museum of the Bible in Washington, D.C., announced on Monday that it would remove five items from its Dead Sea Scroll collection after an analysis showed they were fake, JTA reported. Scholars had raised doubts previously about the authenticity of the fragments, which were believed to belong to a collection of ancient Jewish manuscripts found in caves near the Dead Sea. The museum’s Dead Sea Scroll collection consists of 16 items. “Though we had hoped the testing would render different results, this is an opportunity to educate the public on the importance of verifying the authenticity of rare biblical artifacts, the elaborate testing process undertaken and our commitment to transparency,” the museum’s chief curatorial officer, Jeffrey Kloha, said in a statement quoted by JTA. The analysis of the fragments was conducted by Bundesanstalt für Materialforschung und-prüfung, a German institute that analyzes such materials. 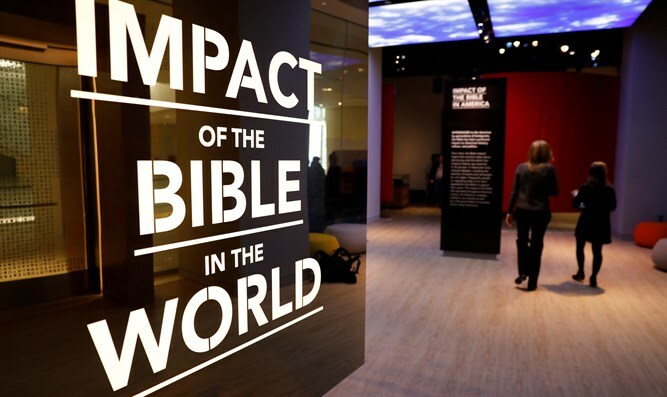 The Museum of the Bible opened last November at a cost of $500 million. Privately funded by the Green family, the museum located three blocks from the Capitol is "dedicated to the impact, history and narrative" of the holy book. In 2015, ahead of its opening, the museum inked a deal with the Israel Antiquities Authority to display ancient artifacts unearthed in Israel.